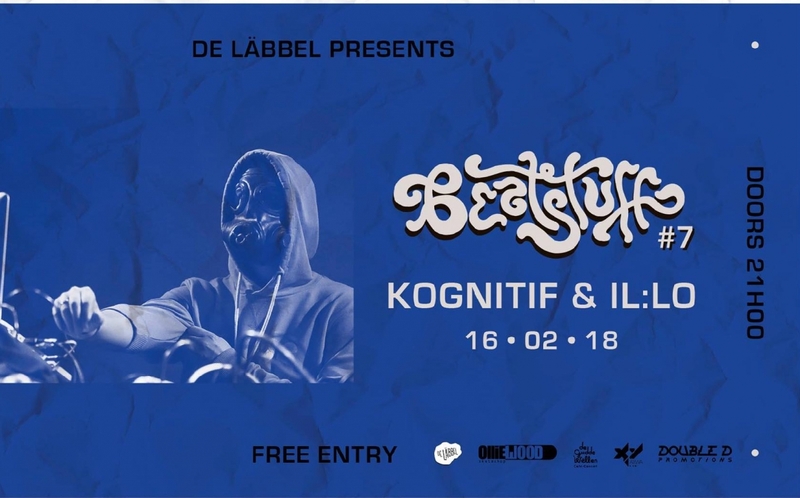 De Läbbel proudly presents you for the 7th Beatstuff Session, Kognitif & il: lo from France. Kognitif creates hip hop abstract sounds from his drum machine like no other. His ruthless rhythms and crazy samples stimulate the brain and the dance floor. Old sounds and vintage records inspire cratedigger Kognitif, who likes to satisfy even the most greedy ears with soulful beats, funky trip hop and dusty jazz samples. Support act Il: lo will take us on an acoustic journey through bonobo-esque soundscapes, organic sounds and instrumental beats of dreams. Let yourself go and enjoy the trip! ▰ Limitied capacity, reserve your ticket online!! !